Demand’s 29″ Scarfing Spray Foam Hand Saw is the finest in the industry. Demand’s 29″ Scarfing Spray Foam Hand Saw is the finest in the industry. It features a high impact resistant handle, 29″ cutting surface and extremely sharp replaceable serrated edge. They can be sharpened many times before needing to be replaced. The 29″ Scarfing Hand Saw can easily handle all your foam removal needs. Even those 24″ wall studs. !!!WARNING!!! 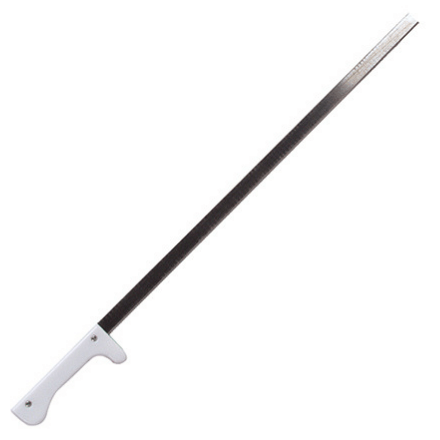 The 29″ Spray Foam Scarfing Knife is extremely sharp. You must use caution, wear protective clothing and Good quality heavy duty gloves when handling this tool.